Posted byRed Lips High Heels December 14, 2012 Posted inGender Studies, Women’s Roles and SituationsTags: Middle East, Patriarchy, WomenLeave a comment on Women in the Middle East: Progress or Regress? O�U�U�O�O?O� O�U�U�O?U�O�U�USO�… "U?US O�O�O?U� O�O�U?O�U�U�O�"
Posted byRed Lips High Heels December 13, 2012 Posted inViolence against Women, Women’s Roles and SituationsTags: Lebanon, Middle East, Patriarchy, Sexism, Violence, WomenLeave a comment on O�U�U�O�O?O� O�U�U�O?U�O�U�USO�… "U?US O�O�O?U� O�O�U?O�U�U�O�"
Is Sexism Overrated in Lebanon? 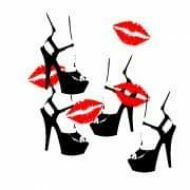 Posted byRed Lips High Heels December 12, 2012 Posted inWomen’s Roles and SituationsTags: Civil Society, Lebanon, Middle East, Patriarchy, Sexism, WomenLeave a comment on Is Sexism Overrated in Lebanon?